(EN) And thus, this is the name of Max von Senger’s bicycle store in Berlin-Mitte. 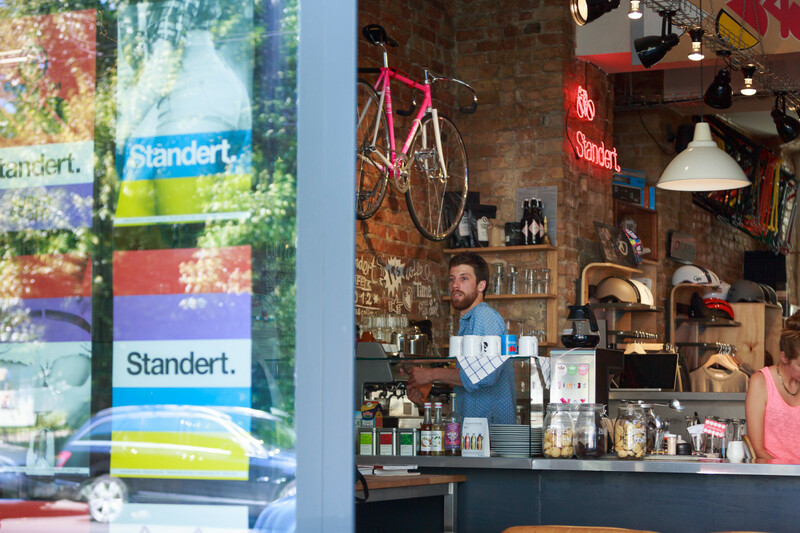 The thing is, it’s anything but standard and with it he’s reinventing the traditional bicycle shop: There aren’t only bicycle frames designed by Max, but also freshly brewed filter coffee and their own homemade popsicles. 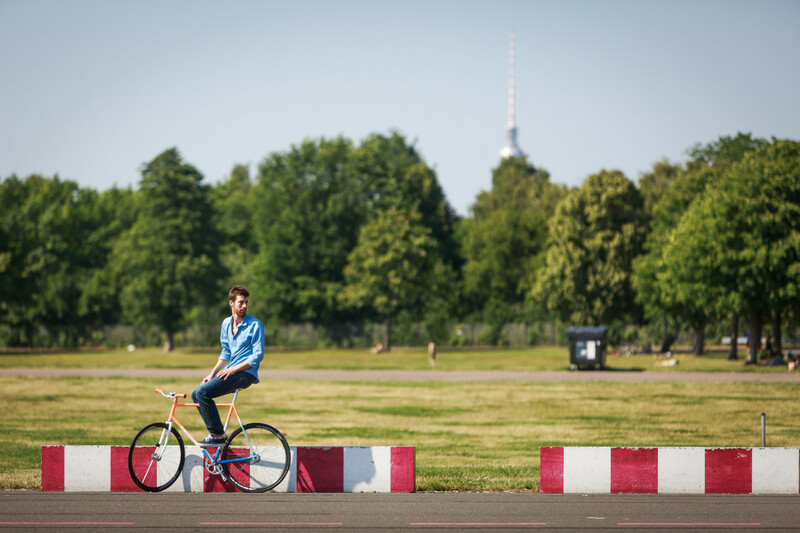 Berlin is best seen on two wheels – or in an agile car like a MINI. 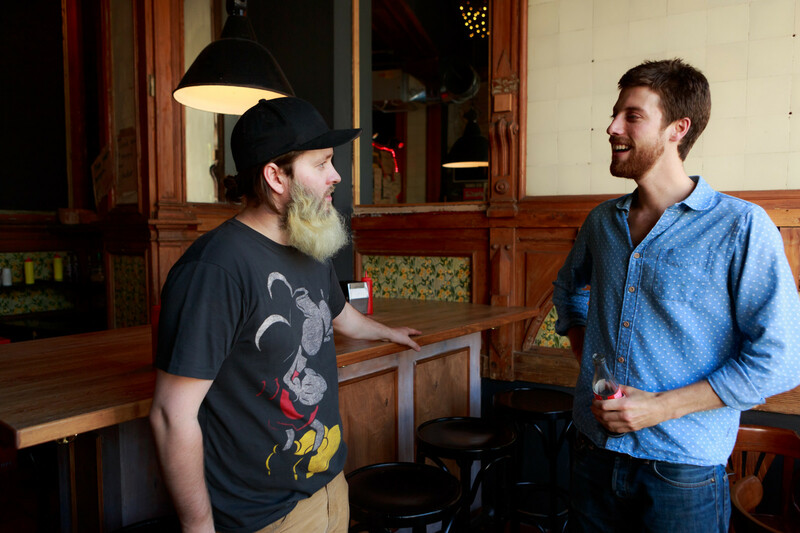 Max von Senger takes us a whirlwind tour through the city to visit all of his favorite spots. Berlin-Kreuzberg. 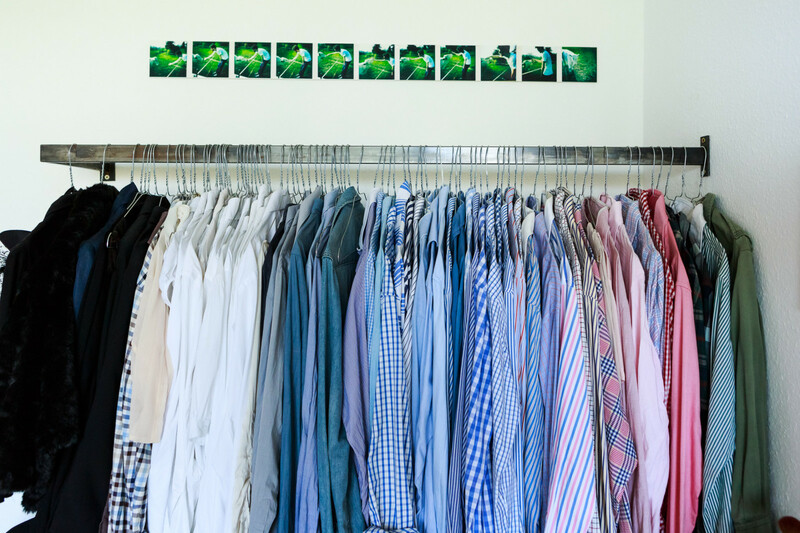 Max lives here with his girlfriend and business partner, Anna. 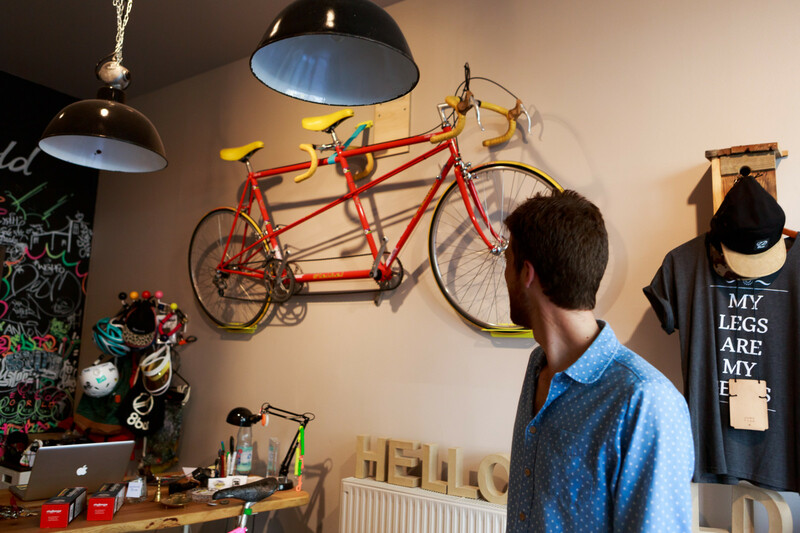 His bicycle hangs directly at the entrance – the first thing that catches the eye when we meet Max for our joint tour of Berlin. Max, who recommended this neighborhood to you? 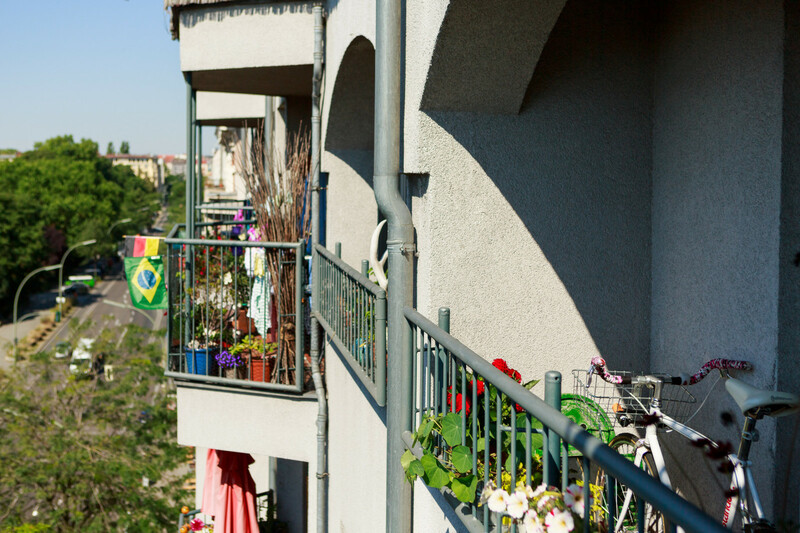 Are you one of the new Kreuzbergers or a veteran? I was actually born and raised here. I belong to the small minority of native Berliners in the city. In the 80s, this was a completely different area. At that time, my parents lived in a shared student apartment in Kreuzberg around the corner from my current place. They lived on a factory floor right behind the Marheineke Market Hall – that must have been pretty cool, but pretty rough too. However, because of my father’s work, we moved a lot, when I was 15 I went to a boarding school in the Black Forest – at first I stuck with the south. 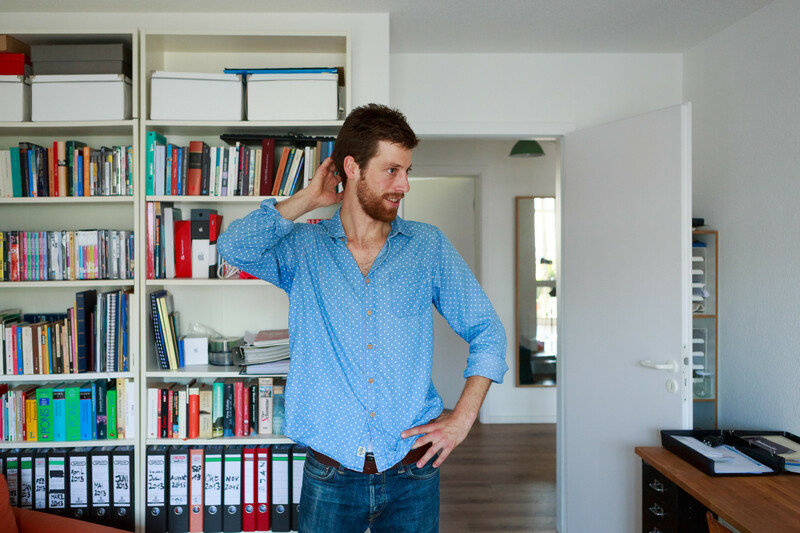 I studied marketing and business administration in Bayern and Austria and that brought me back to Berlin – to study design on the University of the Arts. 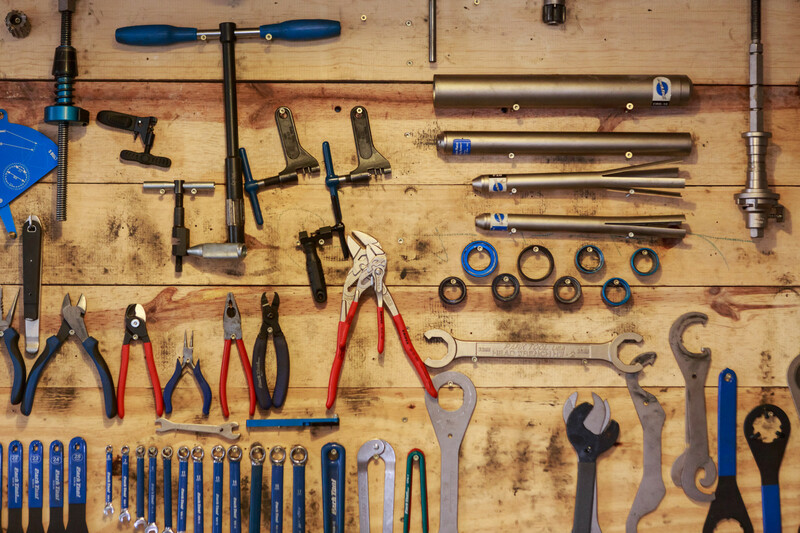 (EN) And how did you arrive at the idea of designing bicycle frames of all things? (EN) It was the logical answer to the questions: “What do I want to design as a profession and what is my passion?” Riding my bicycle was important to me during my studies. At boarding school in Schwarzwald I discovered my love for riding mountain bikes, and to finance my studies I took a job as a bicycle courier. 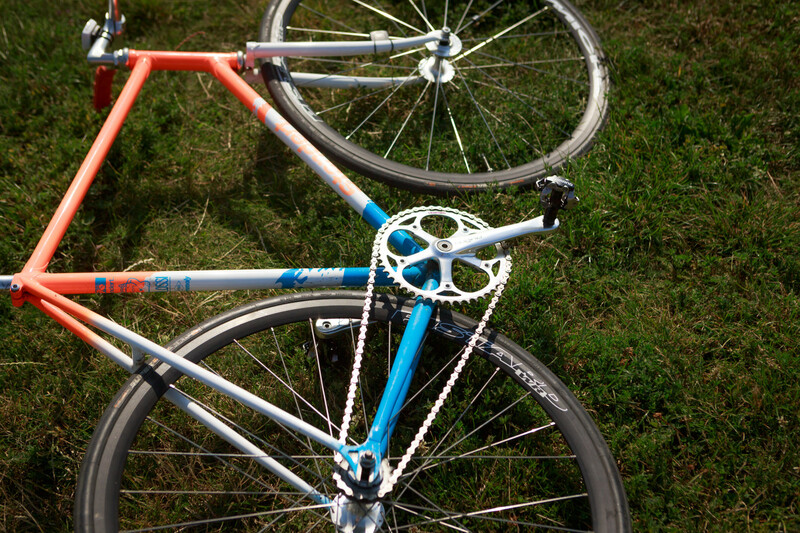 (EN) What is the attraction for you in designing bikes? 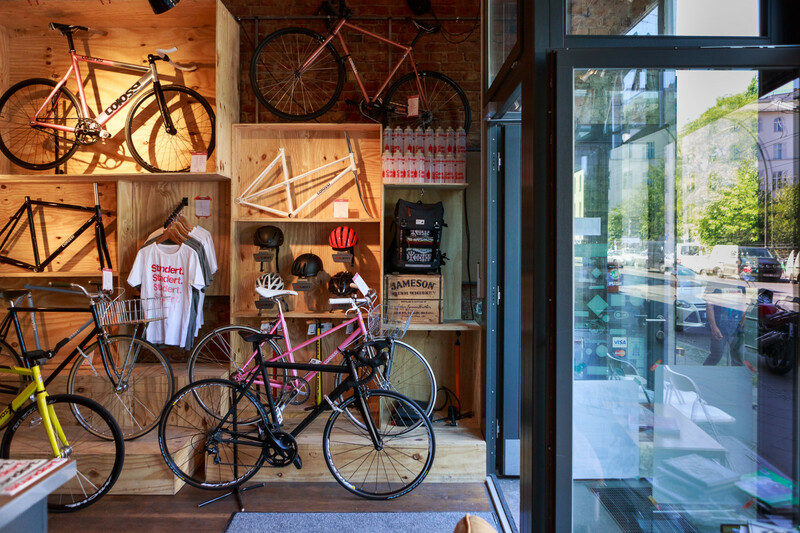 (EN) The bicycle is an aesthetic object which has increasingly come into focus in the last few years. What appealed to me was the idea of a wheel that was beautiful and functional at the same time. Ours are fast and light, but depending on how they are built, they can be comfortable at the same time. 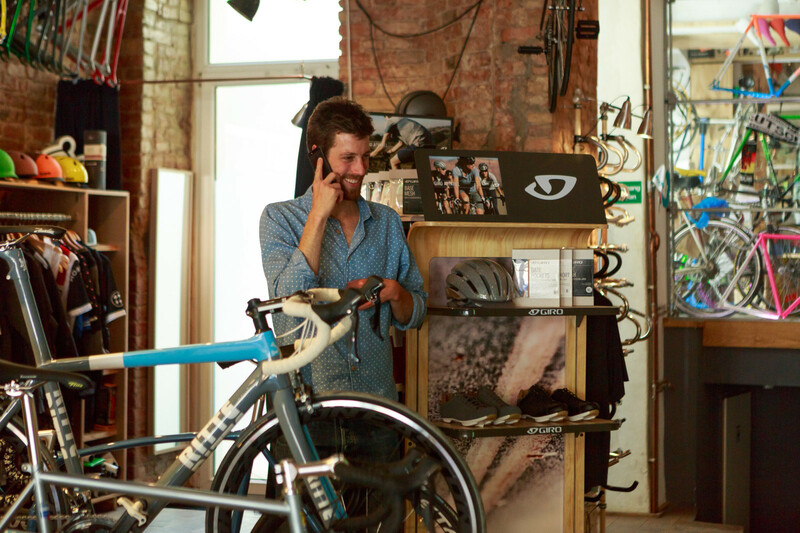 We design the frame, but the customer can put together the bicycle in the store according to what they want – in the end every bike is completely unique. (EN) The Standert is a lot in one. 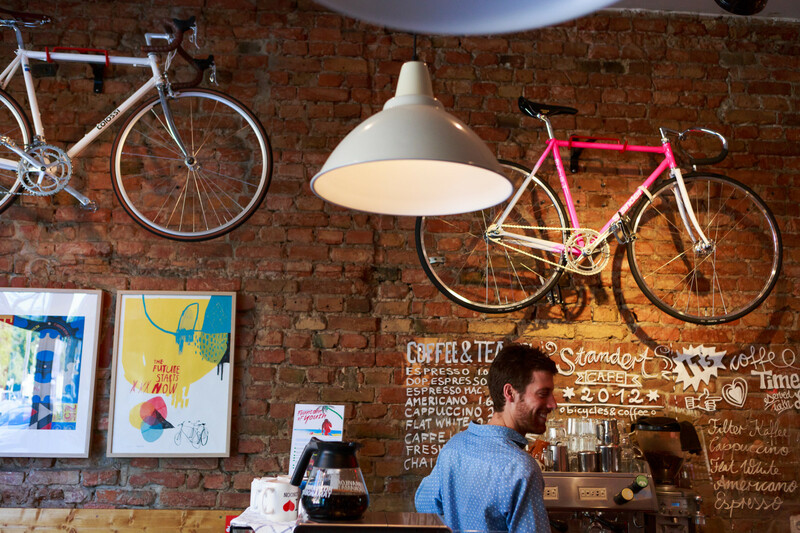 Bicycle, filter coffee and popsicles under one room – that’s a pretty interesting mix, isn’t it? (EN) True. 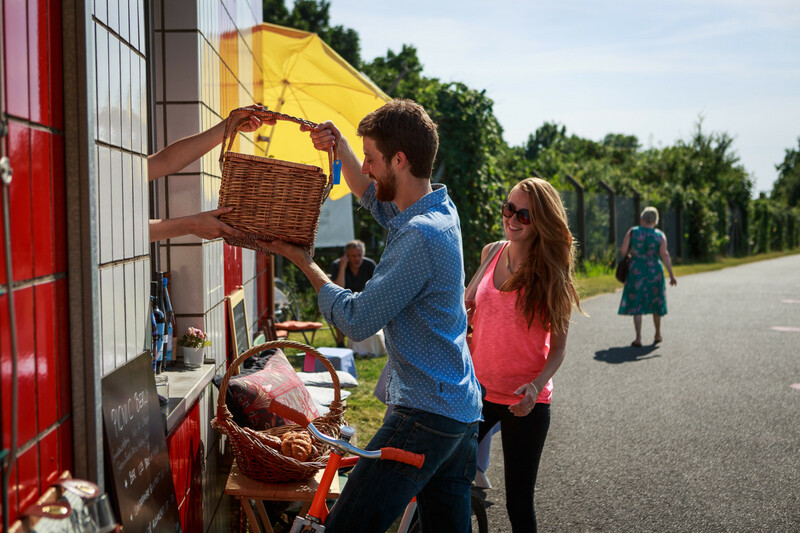 But the idea of launching an ice cream shop was quite independent from the bicycle idea. If you are at design school, you’re in a permanent state of product development. You constantly see something where you think: I could make something out of that. 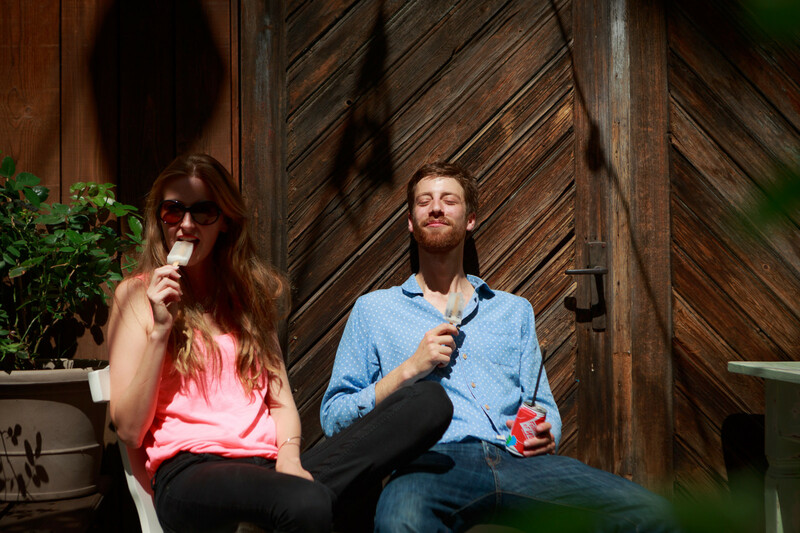 It was the same with me: During a trip to Latin American these popsicles in a thousand different flavors were a big deal. I thought, “Cool. Fresh popsicles, free from additives, I want to take that home.” And then we thought, why is there no bicycle-popsicle-café in Berlin? Anna is the popsicle specialist. (EN) We want one! Shall we go to your shop for a popsicle? Standert isn’t far, right? (EN) Not at all, the store is very central in Mitte. (EN) We jump into the car and are on our way. Not far away is the tumult of Hackescher Markt, overflowing with shopping tourists – only the more clever of which make it to the nearby, quieter Invalidenstrasse. Somewhere between the relaxed restaurant and delis the red brick of the Standert store appears. 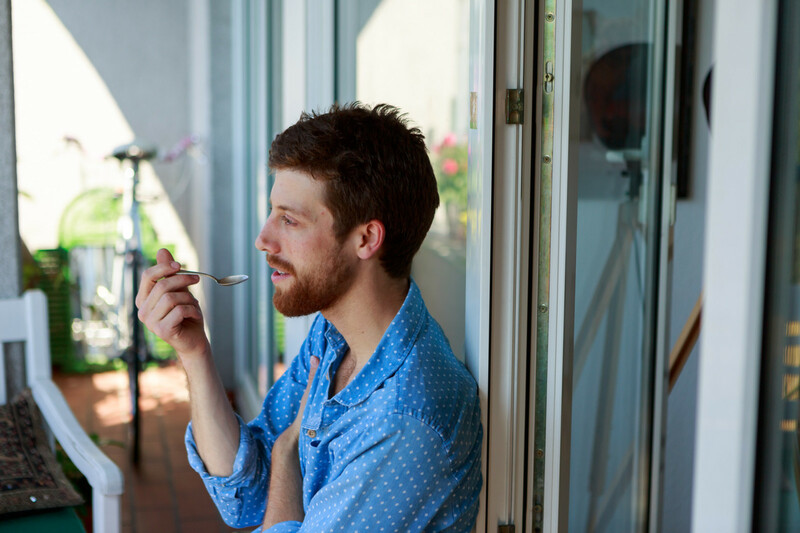 In good weather the large windows on the shop’s façade are simply opened to the street, and you can sit on small stools in front of the shop, drink gallons of coffee – or lick at the homemade Superpops, in Strawberry Mint, Peach Caramel, or Blackberry Yogurt. It’s a mix. On the one hand, of course, are the curious walk-ins, on the other, are people who have heard of us or are looking for a specific product. But now, there are people coming from all over the world, they’ve read about us on the Internet and find the concept exciting. 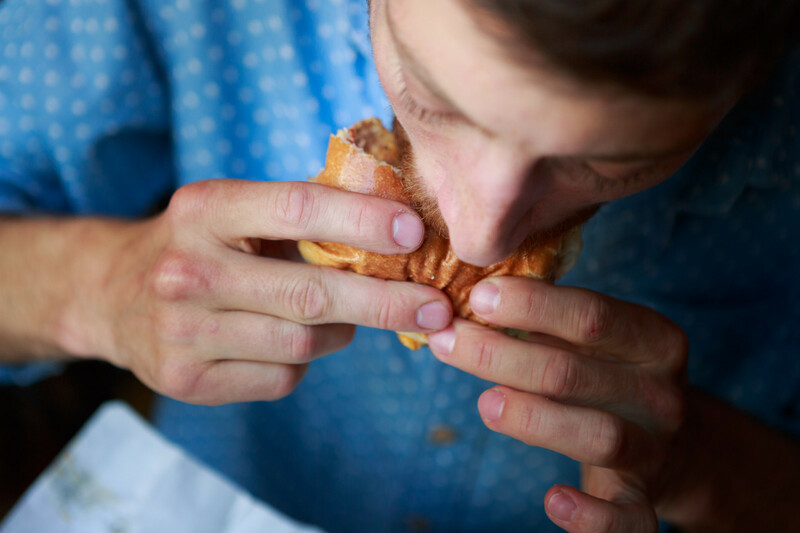 Talking about bicycling gives one almost as much of an appetite as riding. Max suggests his favorite lunch spot: Tommi’s Burger Joint. 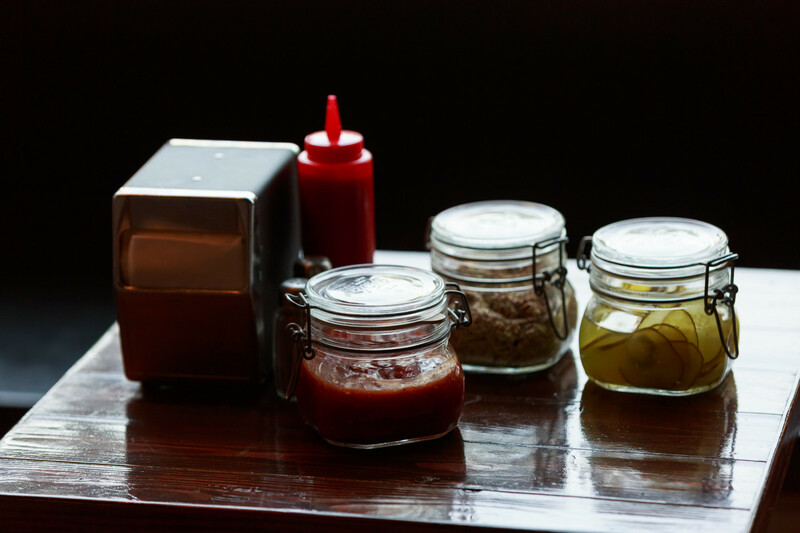 The concept behind Tommi’s Burger Joint was born in Reykjavik with branches in London, Copenhagen – and now Berlin. 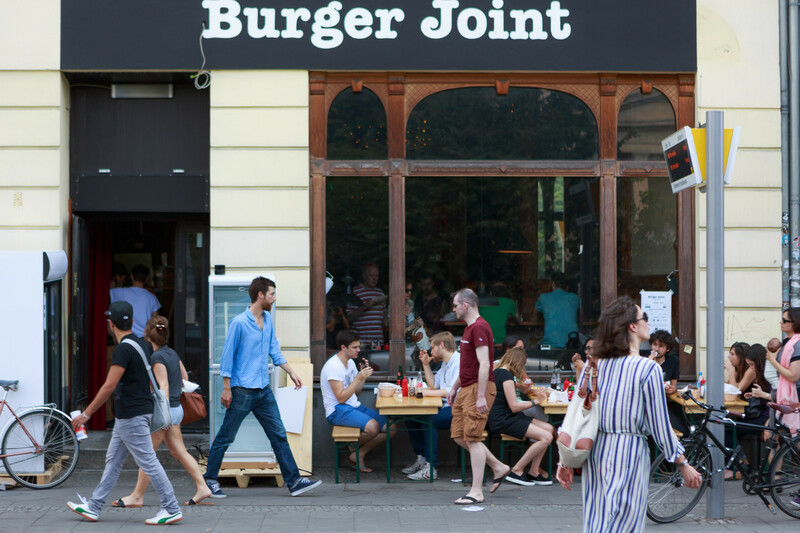 (EN) Aside from the location of the nearby Standert store, do you have a special relationship to Tommi’s Burger Joint? Or is it just that you find the burgers delicious? (EN) There are a few really nice restaurants that have opened on Invalidenstrasse in the last two years. But the history of Tommi’s Burger Joint is special. In Iceland there is, amazingly, no McDonald’s. The burger has a completely different tradition there. 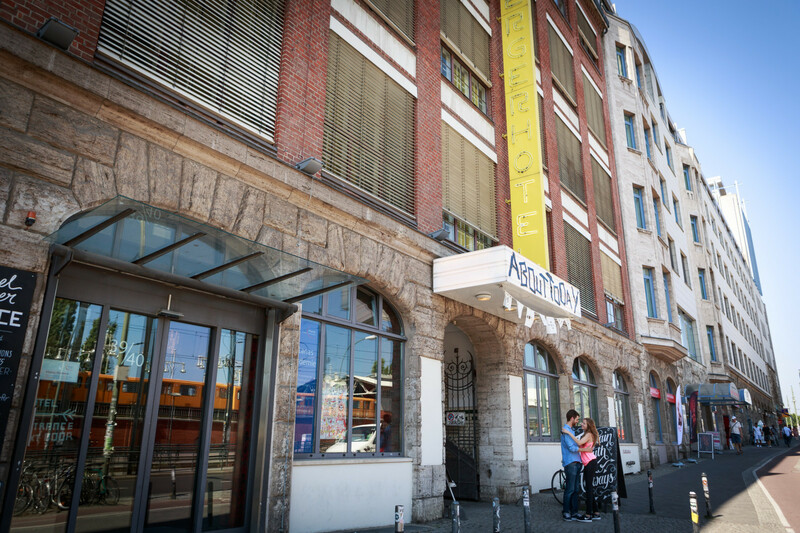 In Berlin the store went through a real ordeal: for almost half a year the store was ready, but they didn’t have a permit to open. But all of the food and supplies were already there. So almost everyone who worked nearby came by to chat – and to have a little private tasting. The side effect: this was great community building. When they were finally able to open, they already had a strong circle of repeat customers. 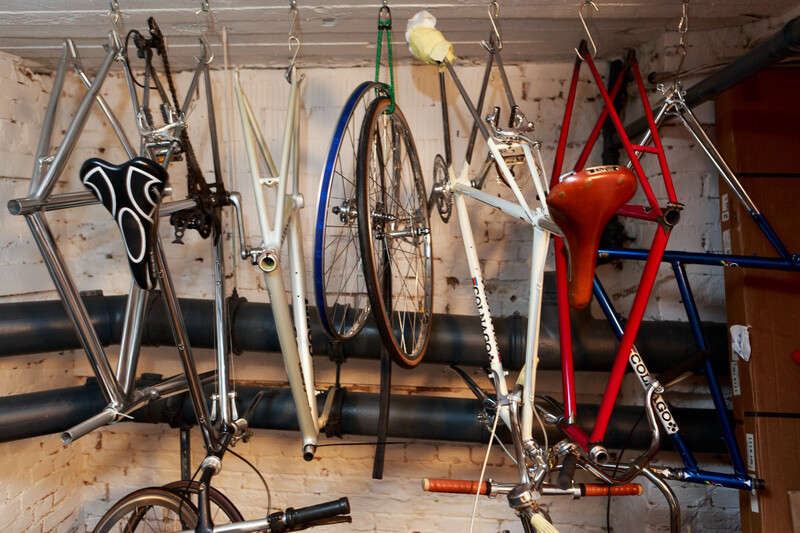 Every friend of the bike has friends with bikes. 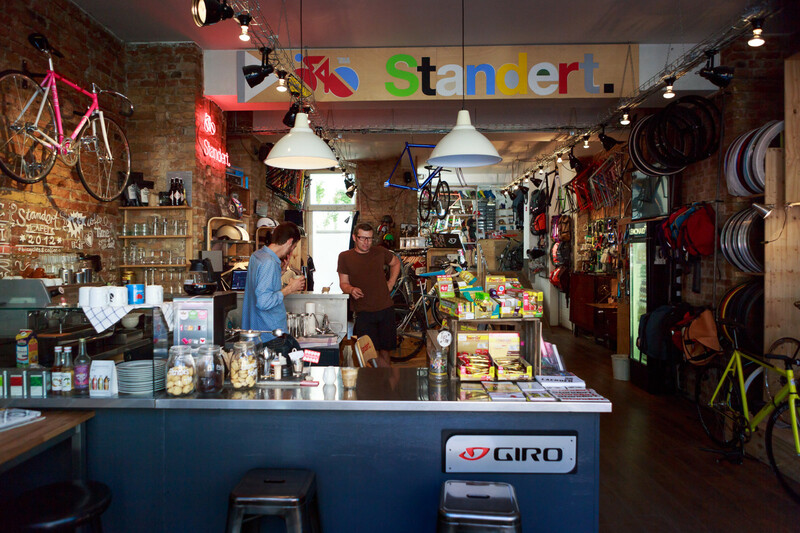 So Max introduces us to his friend and business partner Sdoe from the online bicycle store Hello World Berlin. From Mitte we head uphill: to Prenzlauer Berg. Hello World used to be a bicycle rental place for vintage bicycles. You can still see this in the store today. 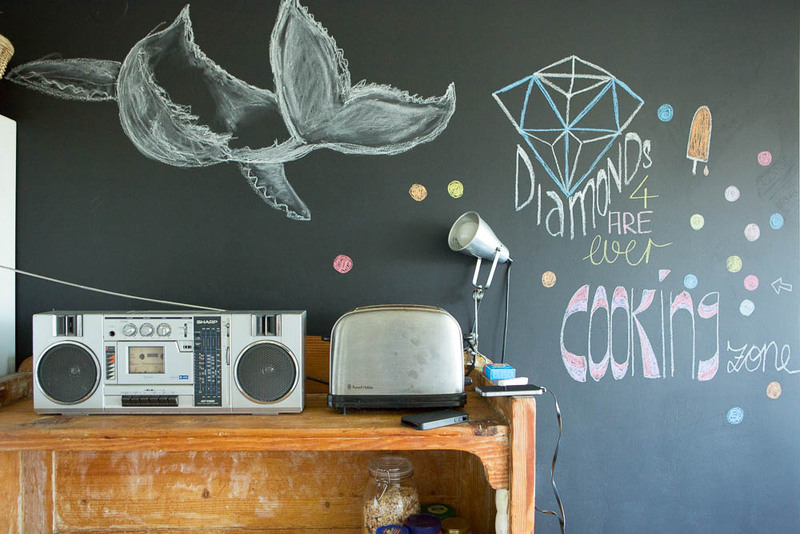 The store is vibrant and colorful, with walls that have been scrawled with drawings and designs – some with two wheels, some not. And the basement would make any hobbyist’s heartbeat race. 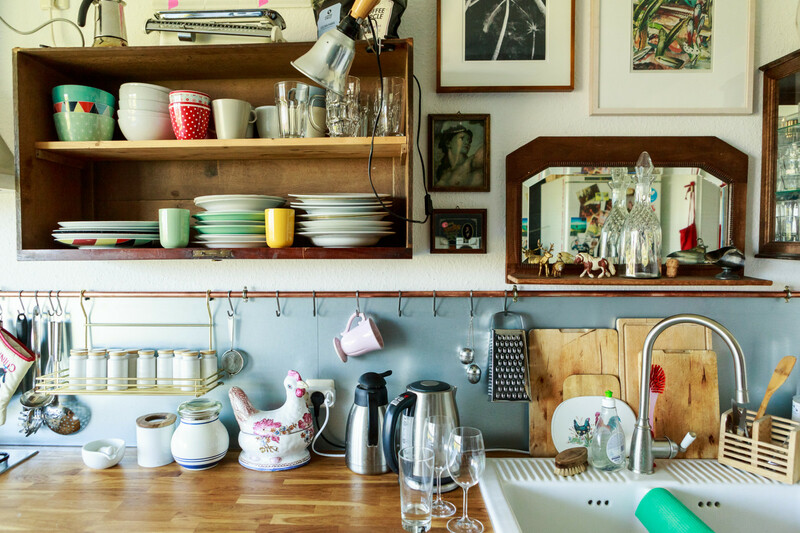 Welcome to what just might be the coolest basement in Berlin. 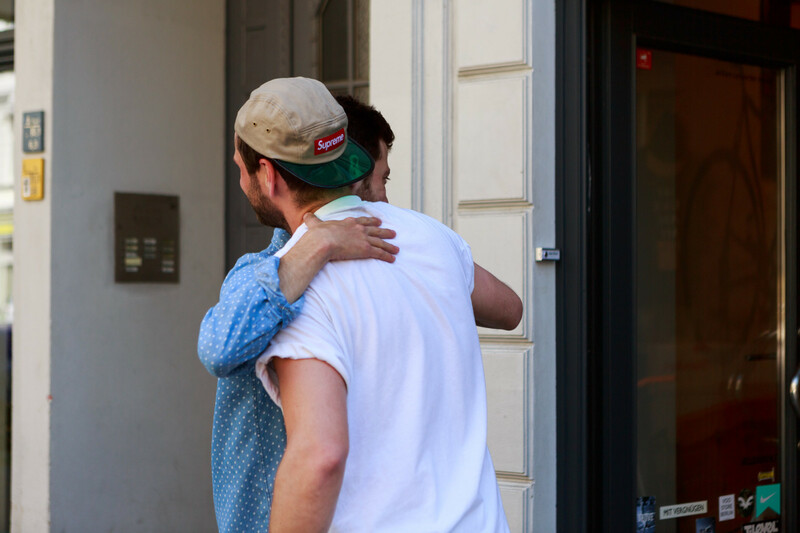 (EN) How do you know Sdoe and Hello World Berlin? 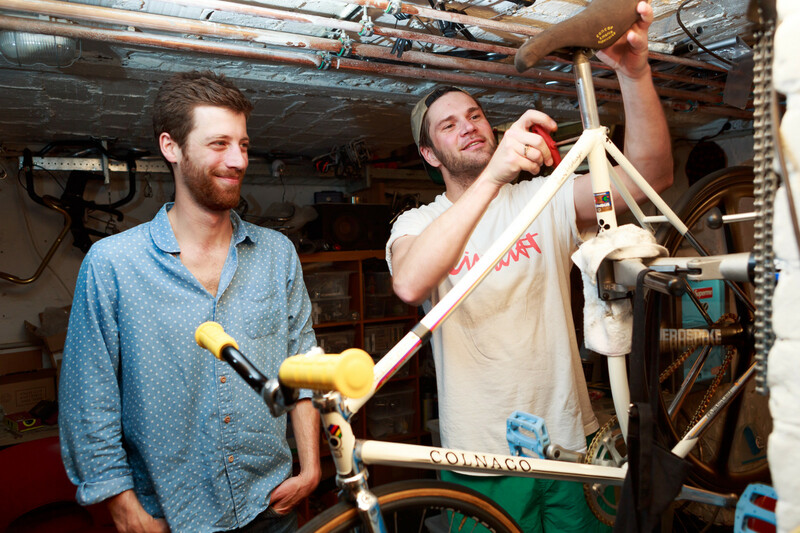 When Sdoe still had his vintage bicycle rental business, we regularly serviced his bikes. He’s just a super cool guy. 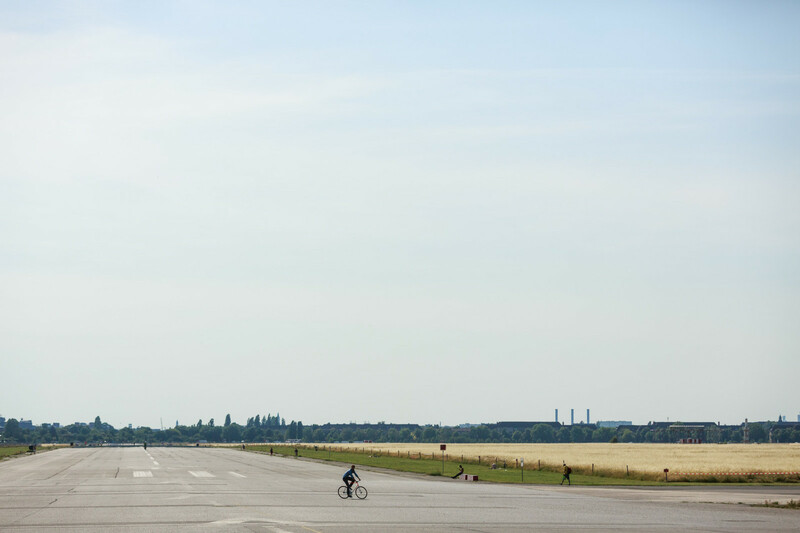 We regularly go on training rides just to get out of Berlin. We have a small hobby team and have done some races together. 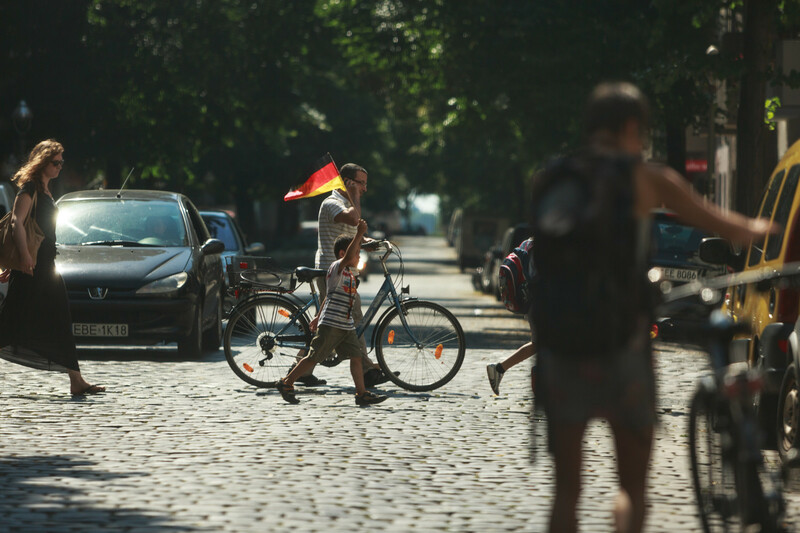 Is there a real cycling scene in Berlin? Definitely! In reality there are different scenes – for example the fixie riders, the BMXers, the Mountain Bikers, or the road bikers. And it’s growing! (EN) On we go. We want to meet Max’s girlfriend Anna at the Michelberger Hotel on Warschauerstrasse. The Michelberger is not a classic hotel, rather a restaurant, concert hall, and a space for creatives to lounge around in, all in one. They’re famous for their own brand of beverages, herbal schnapps by the name of Booze and coconut water in cans called Fountain of Youth. They don’t just taste good, they look good too. What makes the Michelberger one of your favorite places? (EN) I’m a fan boy (laughs). 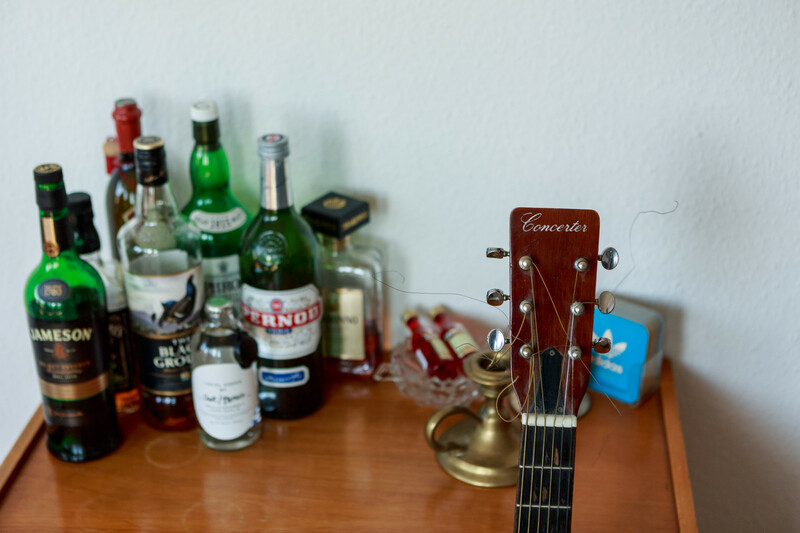 Anna always says that the Michelberger is her favorite place in terms of creative vibes. She’s found it cool for years. At some point she brought me with her and the atmosphere here captivated me too. There’s always something happening here. It could be a mini-festival or a Christmas design market. Sometimes it’s just the good music that’s playing. 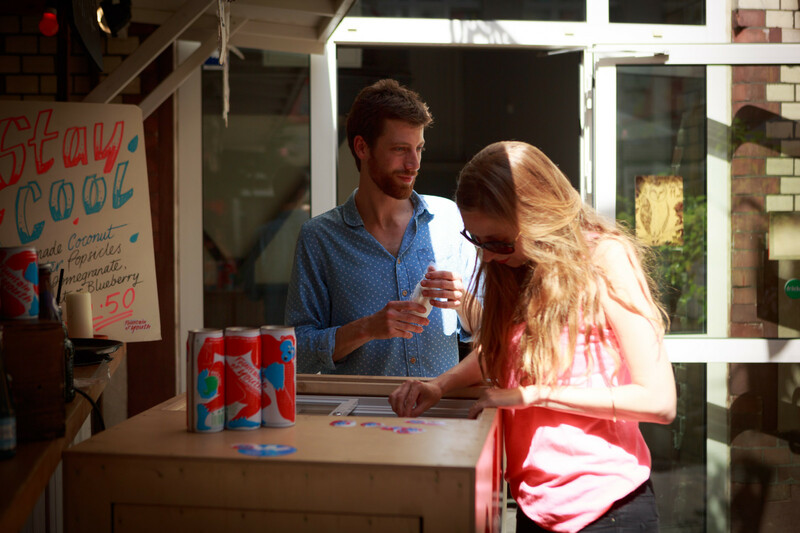 And now we’re also working together – during the World Cup our Super Pops were available here in a limited assortment, created from the “Fountain of Youth” coconut water from the hotel. (EN) How did that come about? (EN) At some point they walked past the Standert store and asked if we wanted to sell the coconut water in the shop. Out of that the idea to make popsicles together was born. This is a small honor for us! Would you say that cycling is your greatest passion? It is definitely by far my favorite activity! Talking about it and doing it! I love this way of moving. You’re incredibly free and mobile and you can get anywhere fast. (EN) Are there times when you prefer to go by car? (EN) Sure, of course. When there’s something to transport, then we use our old VW bus – but finding a parking space is difficult. That’s why we often use the MINI. 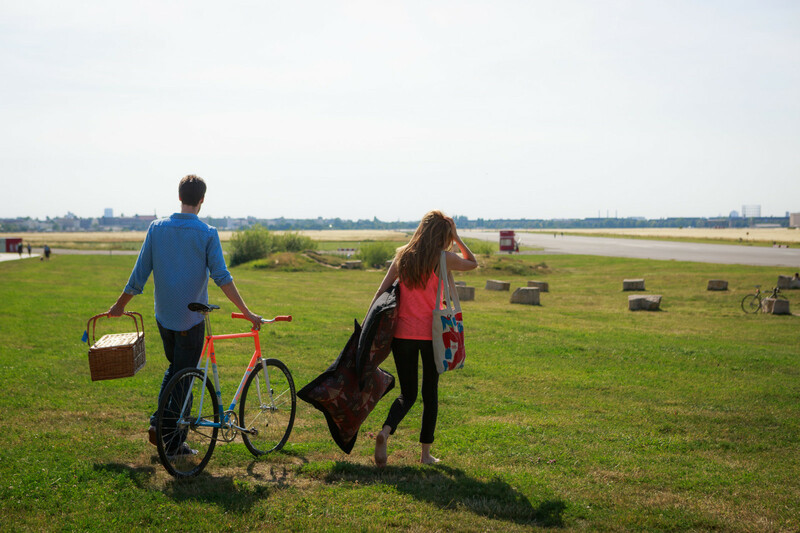 There are bike racks for it that we use when we head to the outskirts of Berlin, to the nicest bicycling paths. 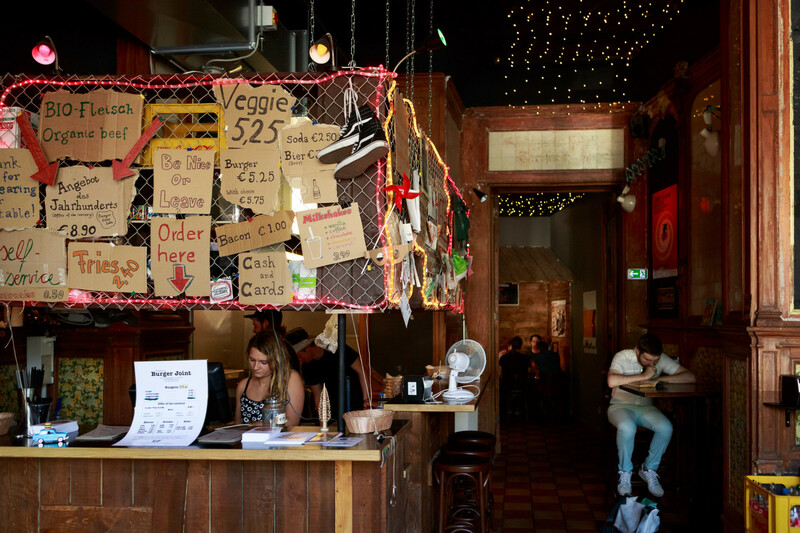 The best cheesecake that New York has to offer is also in Berlin – and Max likes cheesecake – so we make our way to the café Five Elephant in Kreuzberg. Five Elephant is half hidden at the end of Reichenbergerstrasse. From the outside the café seems like one of many that have settled around Kottbusser Tor, Görlitzer Park, and along the canal in the last few years – many of which are worth a visit. However, in addition to fantastic cake, Five Elephant, has something even rarer in Berlin: a genuinely friendly staff. Everyone has something like a “first time” with the cheesecake from Five Elephant. How was yours? Fantastic! But honestly, I’m more about the coffee. (laughs) Anna and I used to live right around the corner. 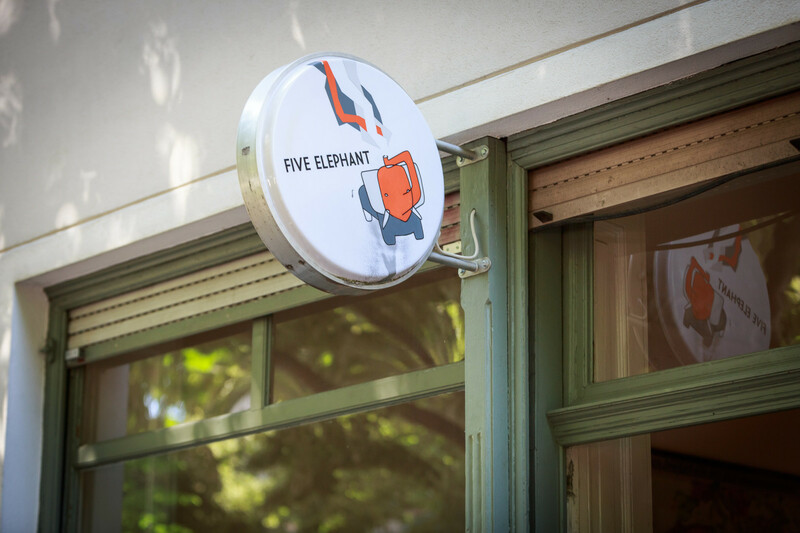 Five Elephant was important to us as we were doing a small coffee tour through Berlin for the Standert store. We were looking for the best beans and inspired roasting that we would also brew at the store. After burgers, popsicles and cheesecake, we need to move our bodies. 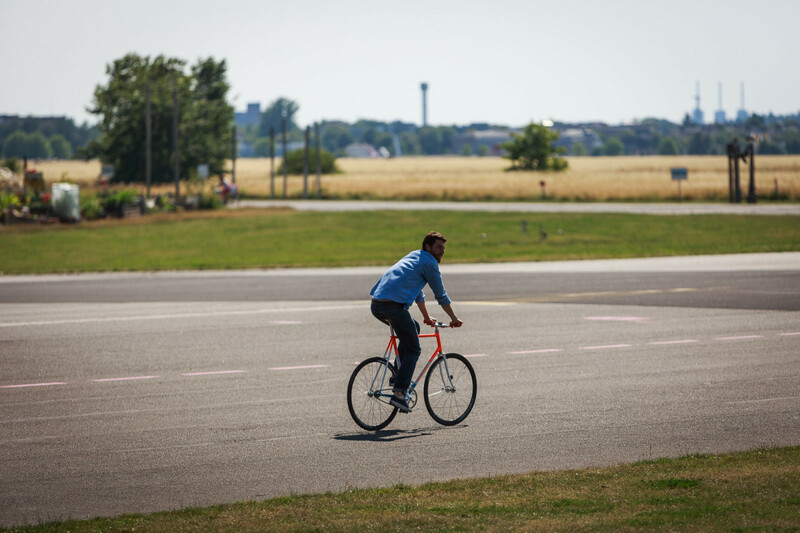 We head to Tempelhof Field, where Max wants to do a few rounds on his bicycle. 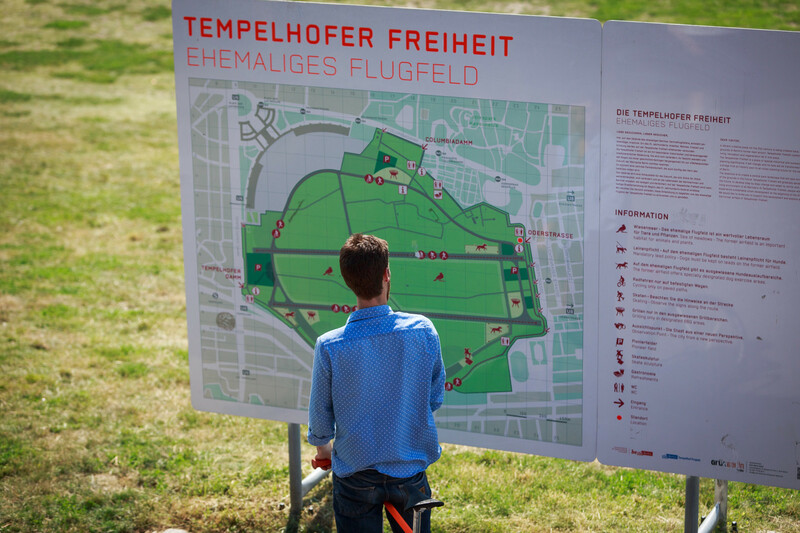 The grounds of the former Tempelhof Field are closely linked with the history of Berlin – at one time the Berlin airlift landed here, as well as the candy bombers of the Allied forces. 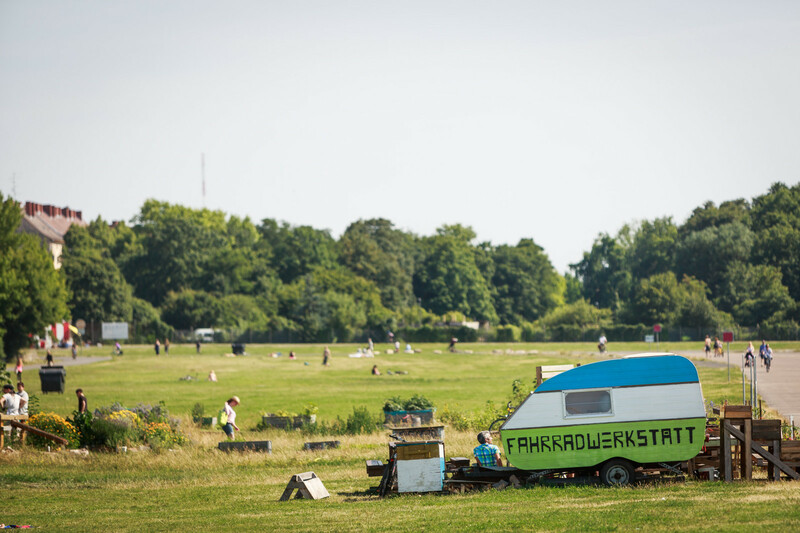 Today the field is a recreational area – and since all plans to build on the land were called off after a public referendum, the grounds now are entirely available to the Berlin public. 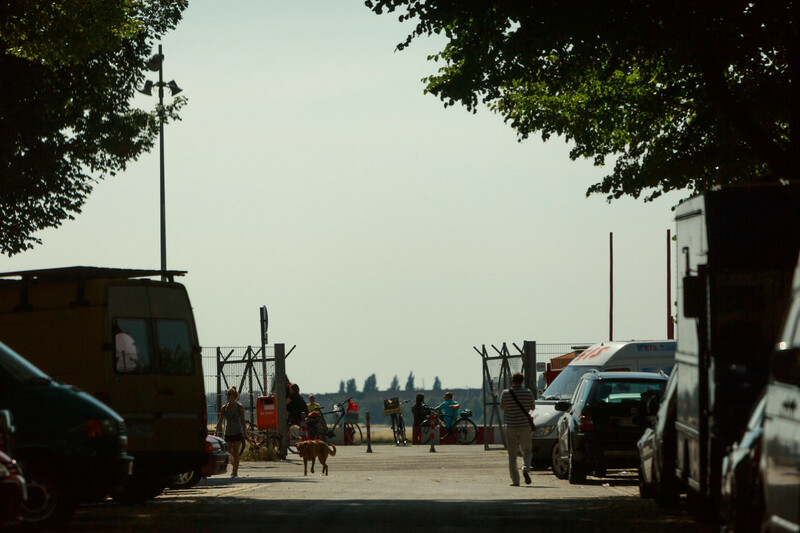 They love the so-called “Tempelhofer Freiheit” – there’s nowhere else in the city that you can see so far, nowhere else where there is such a strong breeze. It’s almost as if you were by the sea – only without the taste of salt in the air. Some come here to do sports, others fly kites, some even plant herbs. What draws you here? 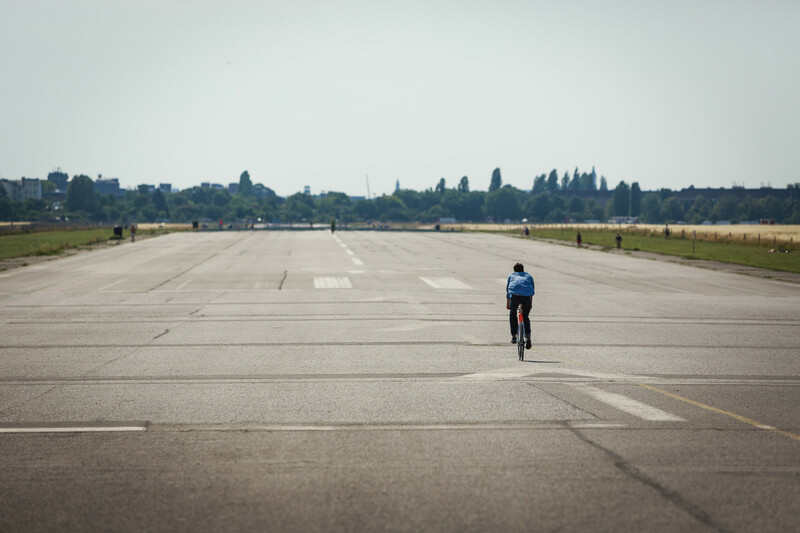 It’s obvious: the former runways make for fantastic cycling! And you can let your gaze wander and walk into the sunset. There’s also picnicking. Look, over there! There’s Lena! (EN) Do you remember when you learned how to ride a bicycle? (EN) I can’t actually remember, what a pity! I think my first strong memory of bicycling is from when I was about eight years old. When I made communion for the first time I got a fancy kids mountain bike as a gift – I was so proud! 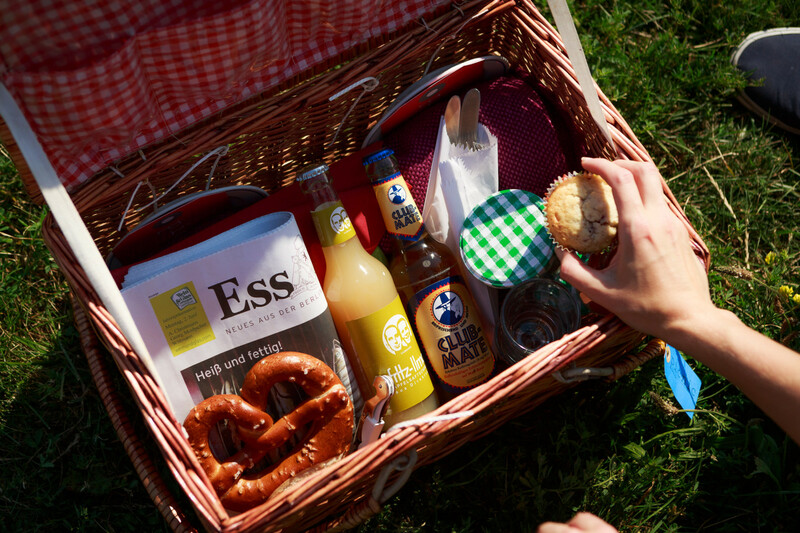 (EN) Having a picnic is great, the only thing is that one usually forgets to prepare it. 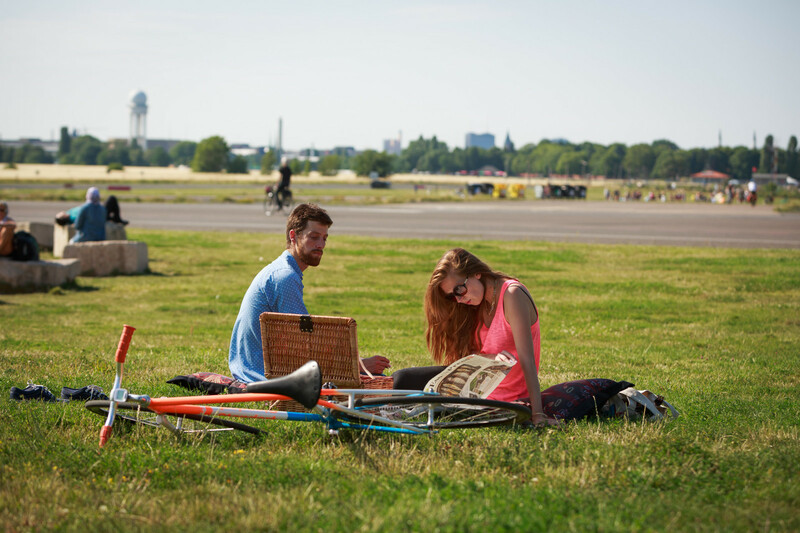 As of recently at Tempelhof a picnic can be organized at the last minute – thanks to Picnic Berlin. A picnic basket rental, where you can fill a basket with delicious treats (or even board games) right at the small red and white striped booth. We’re greeted by owner Lena with a beaming smile – it’s no wonder that Max and Anna like to come by here. 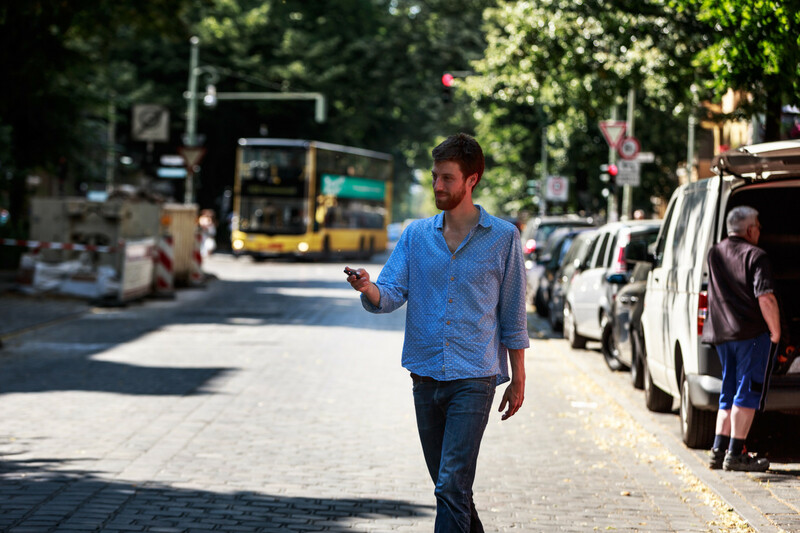 (EN) How did you discover Picnic Berlin? By car we go to our last stop: Ban Ban Kitchen, a little takeaway for Korean soul food in the middle of Hermannstrasse. 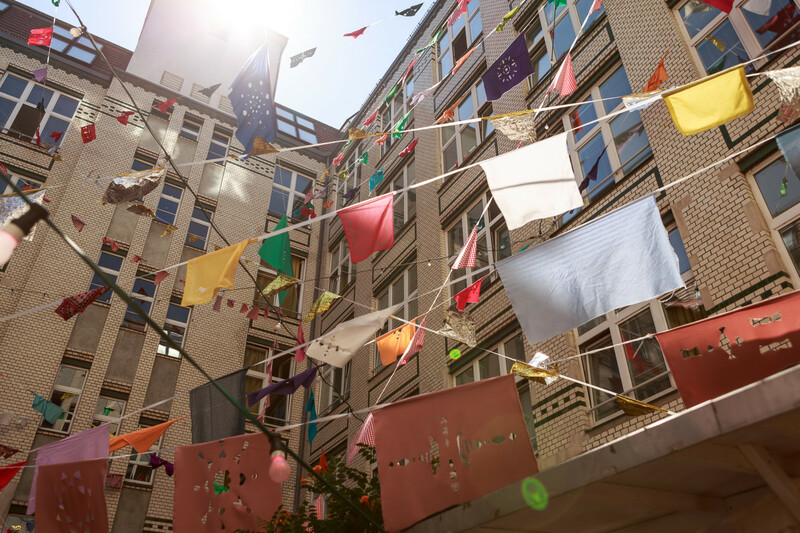 It’s apparently here in the Neuköln “Schillerkiez,” between döner stands, oriental bridal wear stores, and dodgy auto repair shops, where the Berlin creative scene feels most at home. The owner of Ban Ban kitchen, Lihn Vu and Mark Roth, got to know each other during their architecture studies – at some point they decided to sell Vietnamese and Korean delicacies rather than build houses. It seems that we’ve slowly made a food tour of Berlin. What makes Ban Ban kitchen special for you? 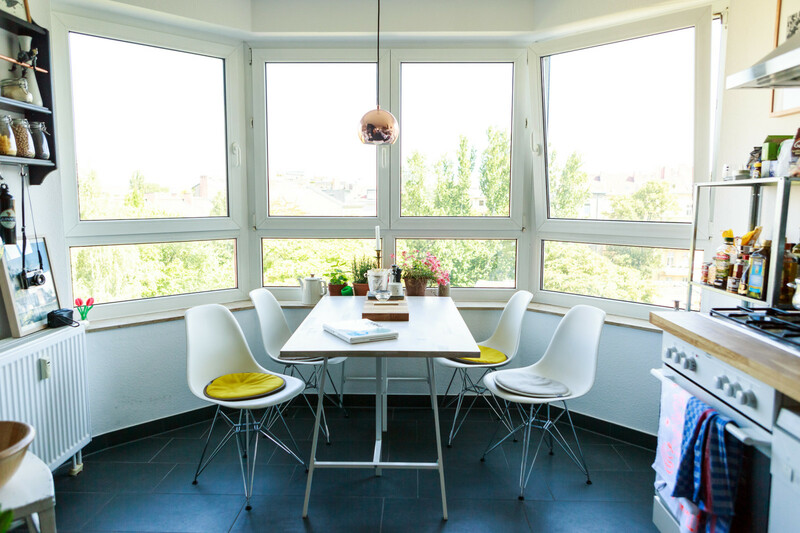 When we lived here, we were so happy when it opened – for us something culinary meant a big improvement in the neighborhood. 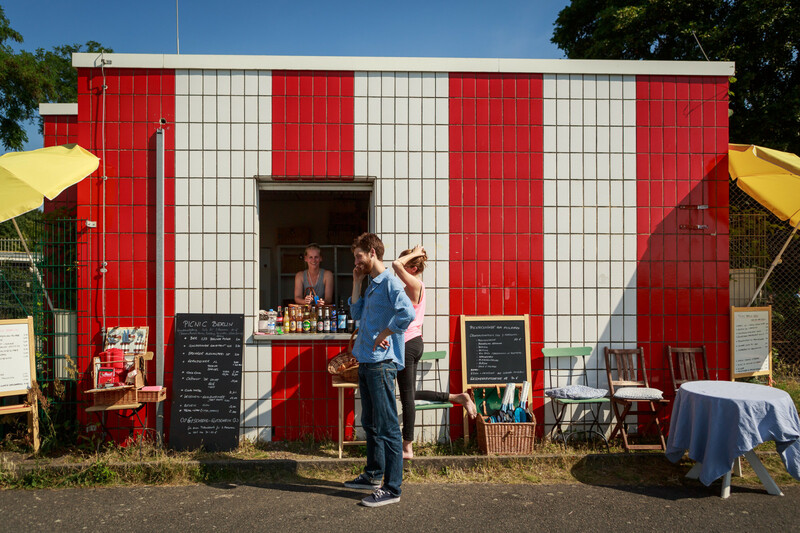 In principle, for a long time there were only döners here – but then increasingly more small restaurants have moved in. 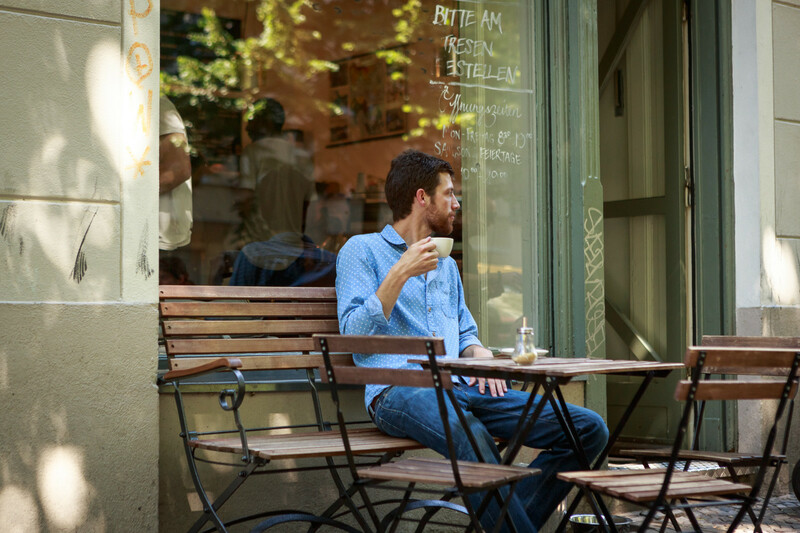 Good fare in a Berlin neighborhood – it seems important to you. Absolutely. And I also think that this is one of the things that makes Berlin. 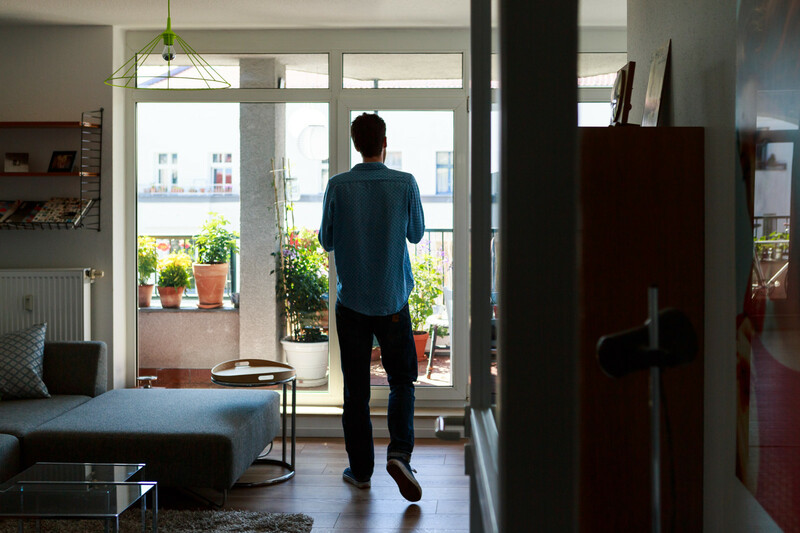 The Berliners like to organize themselves, preferably in their own neighborhoods – they live there and leave generally only to go to work. You can feel it in your own body as the quality of life in the city improves, even just in the quality of food. Food and Berlin, to me they definitely go together. 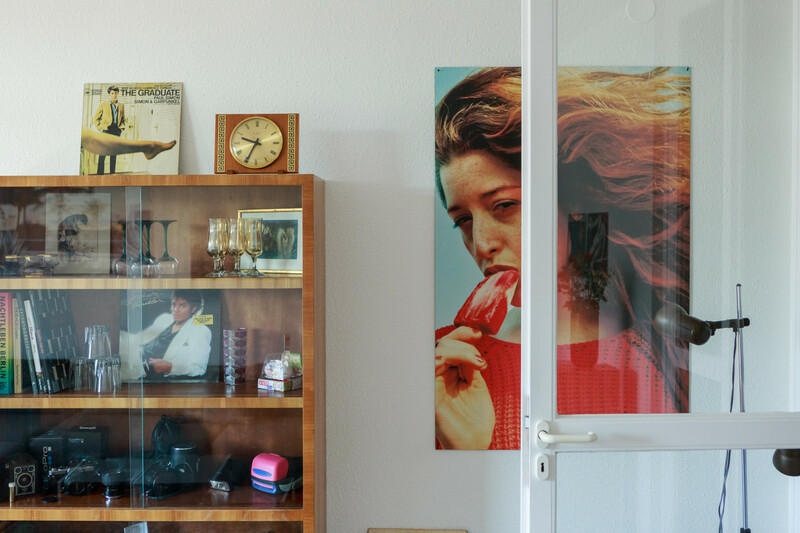 (EN) This portrait is the second episode of a series of personalized city guides by Freunde von Freunden and MINI. The concept aims to create an access to the perspective of creatives on the cities they live and work in.